Gridy - Organize the open windows on your desktop ~ Android Forever! 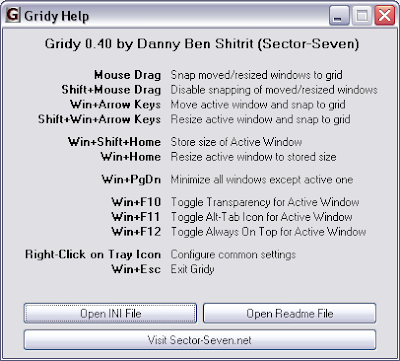 "Gridy adds an invisible grid to Windows, so that any window you move or resize is snapped to it. Snapping is enabled with mouse drag or keyboard arrow keys. In addition, you can: Make any window semi-transparent, hide the window's Alt-Tab icon and set any window to be Always on Top."